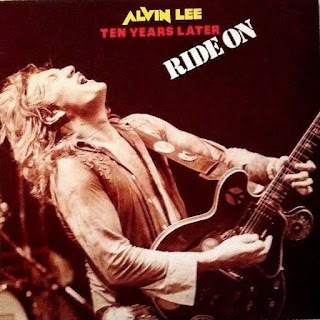 In 1979 Alvin Lee with a powerhouse trio he called "Ten Years Later" released their debut album "Ride On". All tracks on side A are recorded live with no overdubs. "Ain't Nothin' Shakin'" is a real non-stop rocking workout, the cover version of "Hey Joe" is almost better than what Jimi Hendrix himself did with it as Alvin sets that song on overdrive, and "Going Home" you just can't miss and it comes off with flying colors again. While side B is in the studio. The songs are good, the lyrics are good, the music is good.